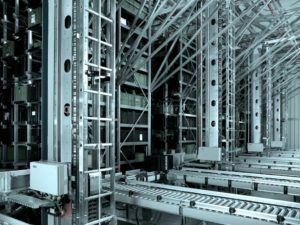 A bank, which is the subsidiary of one of the world’s top 500 enterprises, is building an automated distribution center in eastern Beijing. The DC distributes bank notes (including Renminbi and foreign currencies) from vaults to service outlets and branches. Inther Logistics Technology Co., Ltd will provide and implement a commissioner. Some goods-to-man picking and packing stations, which will be implemented as well, are designed by Inther independently. Inther uses advanced miniload-storage-technology plus commissioner and telescope KT controlled by Warehouse Control System Inther LC. The complete system is able to deal with different sizes of totes and has a high level of flow and storage. It is compact in structure, efficient and reliable. The system is operational since October 2016.